Sunday was rap day at Union Park, with artists like Tree, Killer Mike, El-P and Lil B making up most of the lineup for the day. 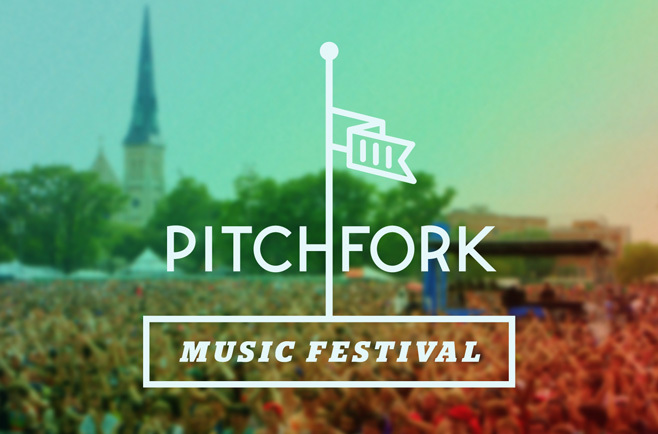 I was not familiar with the majority of the artists performing today, but that’s my favorite thing about the Pitchfork Music Festival. Going to see bands play that you’re unfamiliar with is always a toss-up, but the times that it pays off are worth it. Foxygen was the first show that I saw on Sunday and what a show to start off the day. The band immediately kicked it into overdrive, treating the first song as if it were the last of the set and kept the energy just as high throughout the entire performance. Singer Sam France was exploding with energy: climbing the stage, falling off the stage, jumping over the drum set. It was a ton of fun to watch and I look forward to their set at the Pygmalion Music Festival. I didn’t manage to catch the entirety of Blood Orange’s set, but I wish that I had. The band can really groove and their bass player was absolute dynamite. Add on top some funky riffs from frontman Devonté Hynes and you have a show worth seeing. Next was Brooklyn rapper, El-P. I knew next to nothing about him going into the show and left entertained, but not inspired to sit down and listen to any of his albums. Killer Mike made an appearance on stage for some Run the Jewels songs which got the crowd pretty pumped. Overall, it wasn’t a bad show, but not exactly my cup of tea. Yo La Tengo is so cool. No matter which instruments they are playing, they remain calm and laid-back as they rock the hell out. Ira Kaplan is a true guitar hero, working his massive pedal board to produce all kinds of screeches, washouts and just general noise, all while swinging his guitar around or holding it high above his head. The crowd really got into the loud stuff, but I wish people wouldn’t get so restless during the quiet songs. Nevertheless, it really was an awesome show capped by a crazy noise solo by Ira Kaplan that totally blew me away. Lil B was one of the rowdiest shows that I went to this weekend because everyone in the crowd was incredibly hyped. Among the things that I saw flying through the air were a gallon jug of water, pink bandanas, Lil B’s shirt, several people and a bra. I laughed, I cried, I was deeply moved. Thank you, Based God. Featuring backup dancers and some really cool set design, MIA really got the people moving. Despite some microphone troubles that led her to cut some songs short, the crowd was amped and clearly having a great time. It was too bad that technical difficulties kept bringing the otherwise energetic show to a screeching halt. Festival closer, R. Kelly, was truly a phenomenal way to end the weekend. Opening with a chorus of soul singers and ending with a burst of balloon doves for “I Believe I Can Fly”, R. Kelly has a great sense of showmanship that made the show a ton of fun to watch even if you’re unfamiliar with his songs. Not even a little rain could budge the massive crowd of people gathered to watch him perform. R. Kelly really was a great cap to a great weekend at the Pitchfork Music Festival. My name is Eric Holmes and I'm a senior majoring in Philosophy and Psychology. I love listening to music and discovering new things to listen to. I love bands like Pavement, Can, Yo La Tengo and Neutral Milk Hotel. When not listening to music, you can probably find me in a bar.